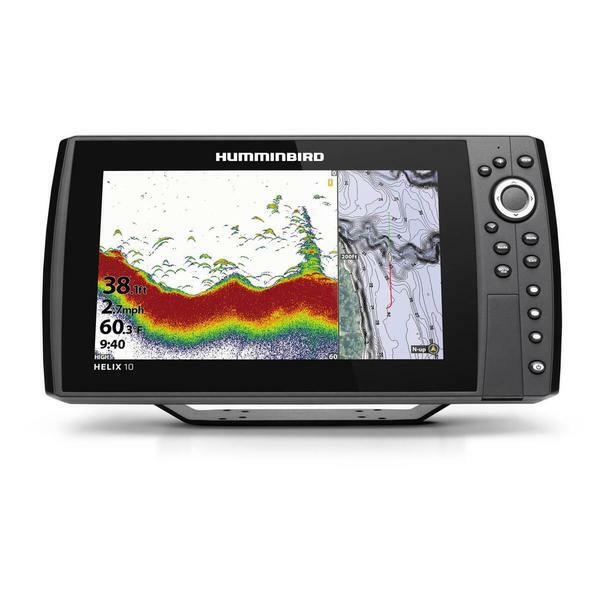 The HELIX 10 CHIRP GPS G3N model features a large 10.1" display and Dual Spectrum CHIRP Sonar. Includes GPS mapping, built-in Bluetooth, Ethernet networking capabilities and ability to create your own maps in real-time with AutoChart Live's depth, vegetation and bottom hardness mapping. Humminbird Basemap cartography is built-in, with the option to expand your mapping capabilities with available LakeMaster charts.